Voor handen en nagels die gezien mogen worden! French manicure is made with 2 colors of acrylic or with gel (never polished). Also see treatment acrylic nails. You can have your hands treated after a long day of work. Water, soap and paper are much used elements that dry out your hands and damage the surface. From time to time every hand needs extra care. This treatment includes taking care of the nails and cuticles, a scrub or peeling, a mask and a nice massage. Try our manicure for good looking, smooth and soft hands. This method is used for strengthening natural nails as well as repairing torned nails. Repairs are possible on your natural nails. Fiberglass nails are more suitable for people who are allergic to gel or acrylic nails. Fiberglass is a very thin material used in tips for a extremely thin nail extension. Fiberglass could in combination with gel be used to strengthen and harden the breaking point of the nails. 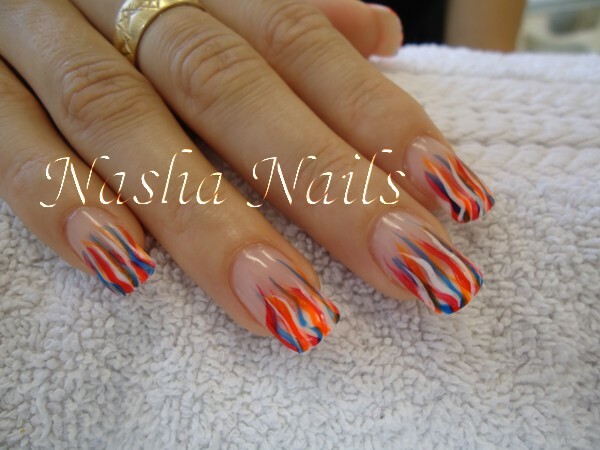 These are the so called gel/polyester nails. If you want to have nice nails and want to avoid breaking and tearing them then acrylic nails are the solution. It is a powder that you mix with a liquid which creates a soft mouldable consistency. This is then added to the nails with a brush. Acrylic hardens within a few seconds, so you don‘t have to put your hand under an u.v. lamp. If you have short nails and want them to be longer they can be extended with tips. The tips are glued halfway. After that they can get finished as you desire. Acrylic nails are also very suitable for nailbiters. Refill: Your own nails (with or without tip) continue to grow underneath the acrylic layer. If the nails grow to long they get out of balance which causes them to break faster. It is advisable to return to the nail studio after 2 a 4 weeks to get the nails treated. The length of the nails is adjusted, the old acrylic is removed and the nails get finished according to the wishes of the customer. A lot of people don‘t take care of their feet. When taking the pedicure treatment your feet will get the best care. The treatments exists out of different components like a foot bath, cuticle treatment, peeling, mask, a nice massage and a moisturizing foot cream. With this foot cream you can say goodbye to dry and chapped feet. 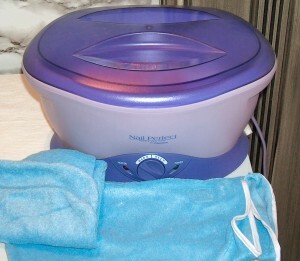 Mini pedicure includes a footbath, nail clipping, or filing with nailpolish. 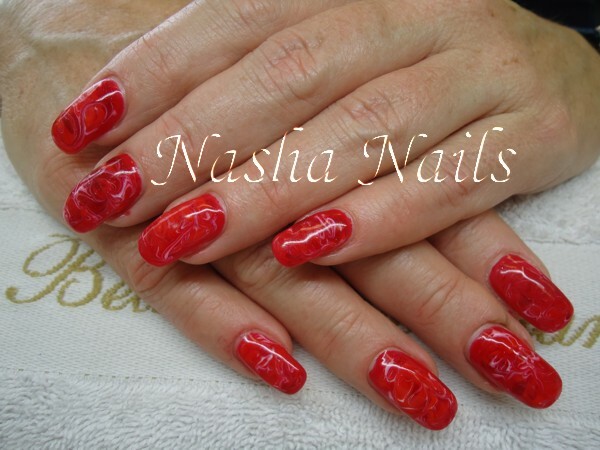 Shellac is an excellent alternative for people with fragile nails who don‘t want gel or acrylic nails. This gel nail polish is very suitable for natural nails and is very good to combine with a manicure treatment. The shellac dries immediately under an u.v. lamp. You will never have damaged nails before even getting home. The shellac remains for a max of three weeks without chips or scratches and is easy removable by a nailstylist without damaging the natural nails. In the nailstudio we offer a large variety of colors in shellac. Three phases gel is being applied in different layers onto the natural or the with tips extended nails. The french manicure is being formed by a white “smileline” and a pink nailbed. Every layer has to harden under an u.v. lamp. After applying the gel the nails get filed into the desired length. The cuticles are being treated with special oil. Refill: Your own nails (with or without tip) keep growing beneath the gel layer. If the nails get too long they get out of balance and break more easily. It is advisable to return after 2 to 4 weeks and to repair and strengthen your nails where needed. The length gets changed, the old gel layer is removed and the nails will be finished as desired by the client. This treatment is very suitable for people who suffer from chilblains. chilblains are dry damaged hands with painful chaps. Paraffine is like a suet and turns to liquid when heated. The bowl contains the warm liquid where you place your hands in. After 5 or 6 times submerging your hands into the liquid you'll get plastic bags and terry gloves onto your hands. These will make sure that the warmth of the paraffine really gets into the skin. After about 10 minutes the paraffine did its job. The subcutaneous tissue stimulates the bloodflow and softens the cuticles and painfull muscles.